For the first time, Game Changer MVP announced a partnership with the NBA to provide entertainment elements at the 2018 NBA Draft live from Barclays Center in New York City. The premiere event will feature in-event entertainment for fans highlighted by Game Changer MVP’s “Filter Fan Cam” technology. The partnership with the NBA continues Game Changer MVP’s growing presence in the league with its work this year with the Golden State Warriors, Boston Celtics, and Oklahoma City Thunder during the 2018 NBA Playoffs. “Having had the chance to display our tools and technology for fans during the NBA Playoffs as well as drafts for the NFL and NHL, we’re thrilled to work with the NBA for the 2018 Draft and enhance fans experience on-site from Barclays Center this year,” says Matt Coy, executive vice president and general manager of Game Changer MVP. 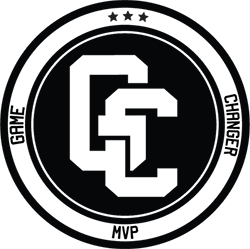 The announcement continues an eventful list of 2018 partnerships for Game Changer MVP, having provided its services for numerous premiere events over the past year including the NFL Draft and NHL Draft, the NBA Playoffs. and the NHL Stanley Cup Playoffs. In addition, Game Changer MVP has also secured several upcoming partnerships for premiere events, adding to its growing list of partners with the very best in sports entertainment.